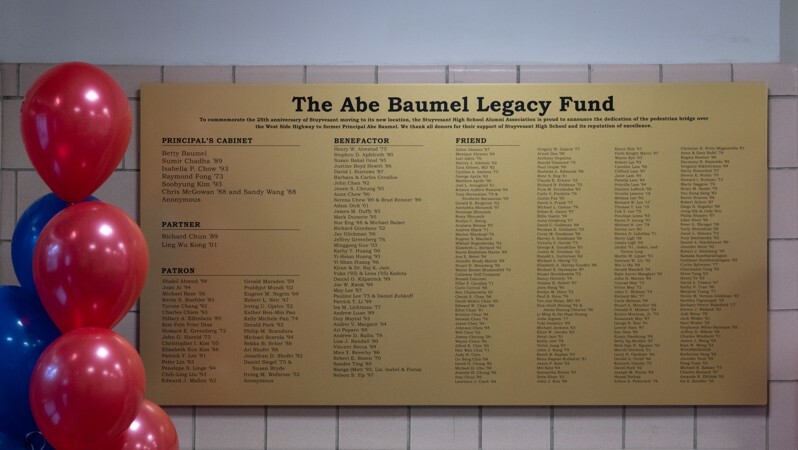 To commemorate the 25th anniversary of the new Stuyvesant building, we have launched a campaign to honor the legacy of former Principal Abraham “Abe” Baumel. 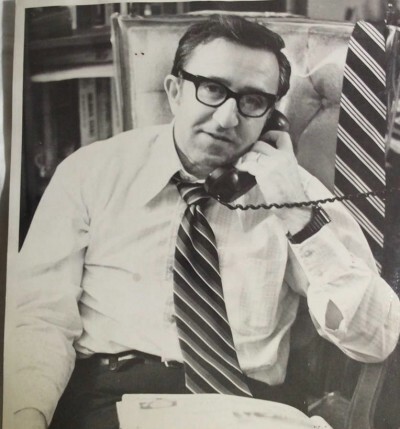 To learn more about Principal Baumel, you can read about his role in Stuyvesant’s journey to its new campus and how he influenced whole generations of Stuyvesant students. 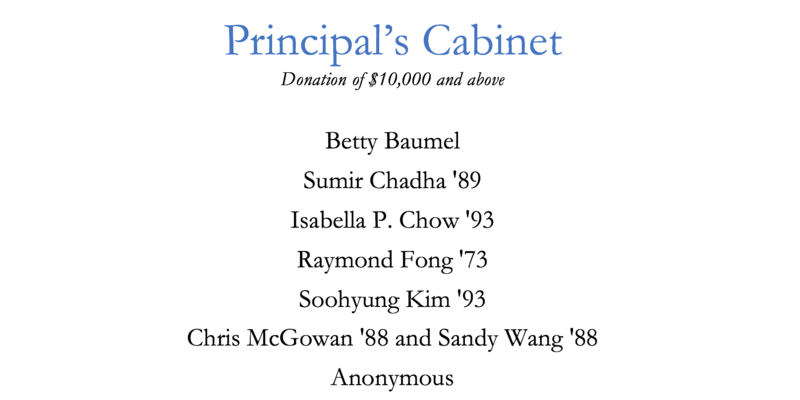 At the end of the campaign, we will hang a plaque at the school’s entrance to the bridge to memorialize Abe’s legacy. 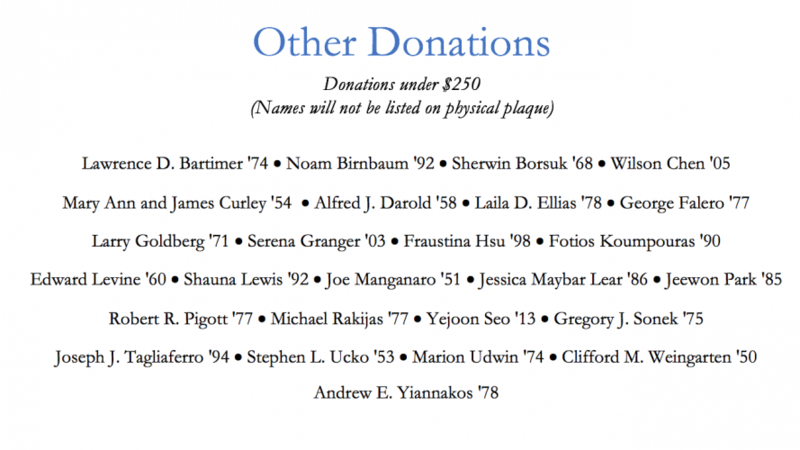 The plaque will display all donors who gave $250 or more by their giving tiers. 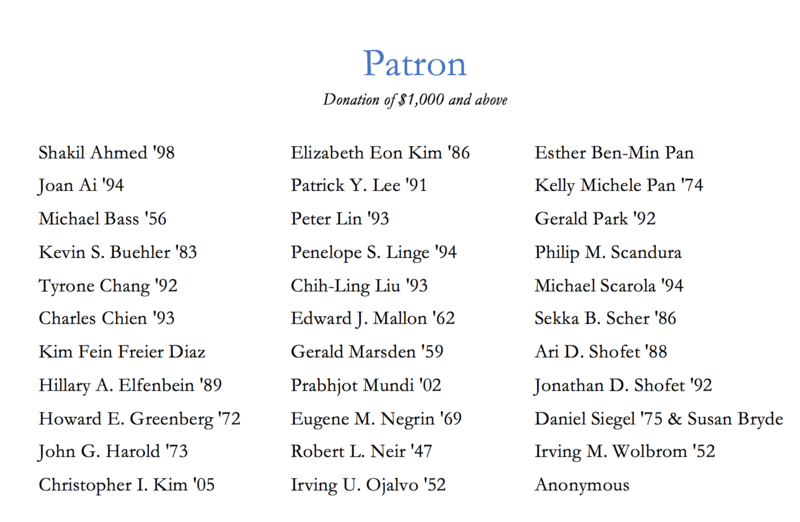 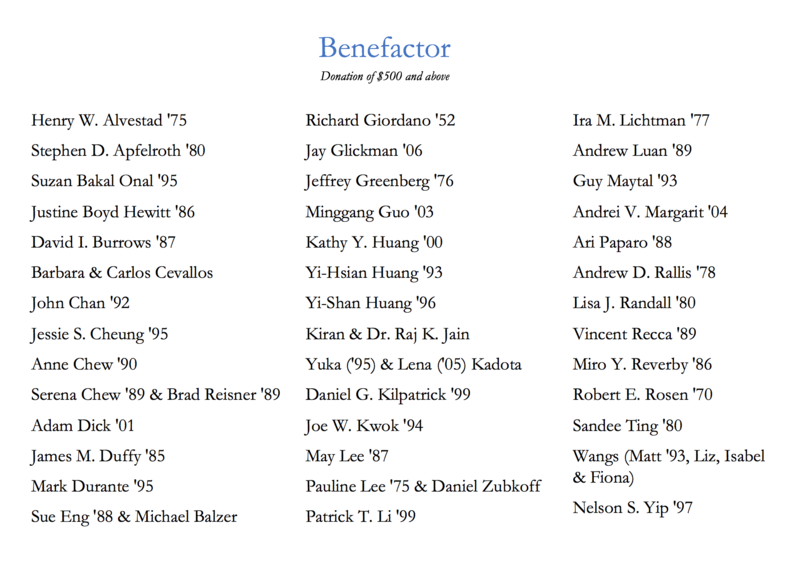 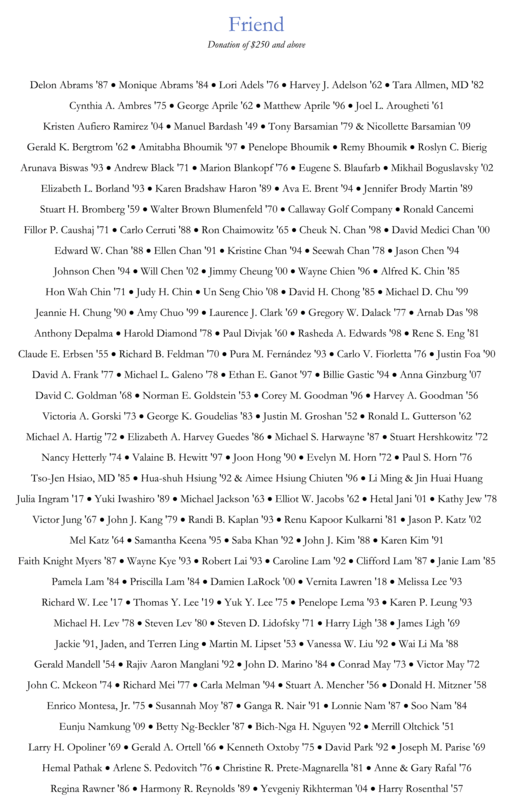 We would like to thank all donors listed below who have contributed to the campaign so far.